We are able to order in any of these bits. Custom made bits made to order. Website showing the range of Bomber bits that are available to order. 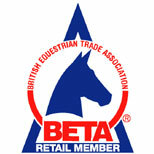 Official trade association which Bit World is a retail member. Professional event rider based in Stathern, Leicestershire. Web page showing the range of Happy Mouth bits. The whole range of bits is not currently available in England though new styles are slowly been added to the current range. LIMO is a revolutionary bits system, produced with a special thermoplastic elastomer. The masterpiece has a hexagonal shape, with large side washers which prevent pinching of the bite on the labial commissures and prevent air ingestion. More information regarding the Myler bit range. Website showing the full range of Neue Schule and bitting information. Shows the wide range of Sprenger bits available including the Danger Bit. Schooling, training and competition centre based a short distance away.